We use a third party service, Google Analytics, to collect information to help us better understand how people use our website: for example which areas are being used more frequently than others and whether more people view the website on a mobile device rather than a desktop. This information is only processed in a way which does not identify anyone. We do not make, and do not allow Google to make, any attempt to find out the identities of those visiting our website. If we do want to collect personally identifiable information through our website, we will be up front about this. We will make it clear when we collect personal information and will explain what we intend to do with it. Our legal basis for processing this information is legitimate interests. The Triathlon Trust processes the IP addresses and user agents of visitors in certain areas to help maintain the security and performance of the Triathlon Trust website. When people make event bookings on the Triathlon Trust website, they submit personal information including name, contact number and contact email address. Our legal basis for processing this information is the performance of a contract: in order for us to provide the event booking service you have requested and meet our committments to you, we will have to process the details you submitted. The personal information you submitted will be retained for at least 5 years or until the Triathlon Trust no longer offers its events delivery service. We will only use these details to provide the service you have requested and for other closely related purposes. Your details will only be passed on to third parties if it is required so that we can deliver the event you have booked on to. We use a third party provider, MailChimp, to deliver some of our email communications which might include e-newsletters and direct marketing emails. Our legal basis for processing this information is consent. We will only send you these email communications if you have freely opted in. You have the right to withdraw your consent at any time. There will be an option to opt-out included at the bottom of every such email we send out. The personal information you submitted will be retained until you opt out or until the Triathlon Trust no longer offers such communications. 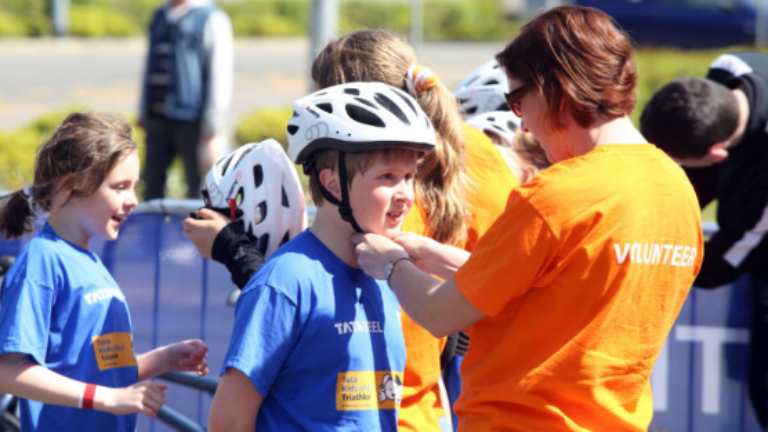 If you have given the additional consent, your details might be passed on to carefully selected partners of the Triathlon Trust which comprises partners who aid in event delivery and our corporate supporters. We gather statistics around email opening and clicks using industry standard technologies to help us monitor and improve our email communications. For more information, please see MailChimp's privacy notice. Your personal data may be transferred outside of the EU when using our third party service MailChimp. MailChimp participates in and has certified its compliance with the EU-U.S. Privacy Shield Framework and the Swiss-U.S Privacy Shield Framework and so has adequate safeguards in place to protect your data. For more information, please see MailChimp's privacy notice. The Triathlon Trust does not currently employ any automated decision-making or profiling systems. Under the Data Protection Act 1998, you have rights as an individual which you can exercise in relation to the information we hold about you. You can read more about these rights at https://ico.org.uk/for-the-public/is-my-information-being-handled-correctly/. To make a request to the Triathlon Trust for any personal information we may hold, please contact us on the contact details provided below. If we do hold information about you, you can also ask us to correct any mistakes by contacting us, again, using the contact details provided below. The Triathlon Trust tries to meet the highest standards when collecting and using personal information. For this reason, we take any complaints we receive about this very seriously. We encourage people to bring it to our attention if they think that our collection or use of information is unfair, misleading or inappropriate. We would also welcome any suggestions for improving our procedures. Please contact us using the contact details provided further down this page. You also have the right to lodge a complaint with a supervisory authority, which, in this instance, is the Information Commissioner's Office (ICO). If you want to make a complaint about the way we have processed your personal information, you should do so on the ICO website: www.ico.org.uk/concerns. We keep our privacy notice under regular review. This privacy notice was last updated on 17 January 2018.